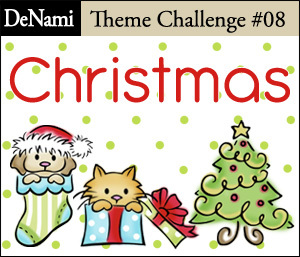 DeNami Challenge - Christmas Theme | Work in Progress. Time for a new DeNami Theme Challenge!!! Before we dive right into the brand new challenge, we have a new guest designer for December!! YAY Danielle! So exciting to have you join DeNami for the month!!! Welcome girl! This time around, it's all about Christmas! So let's see your amazing yuletide creations! I hadn't made a shaker card in some time and the ornament stamp from DeNami just seemed perfect for such a card. 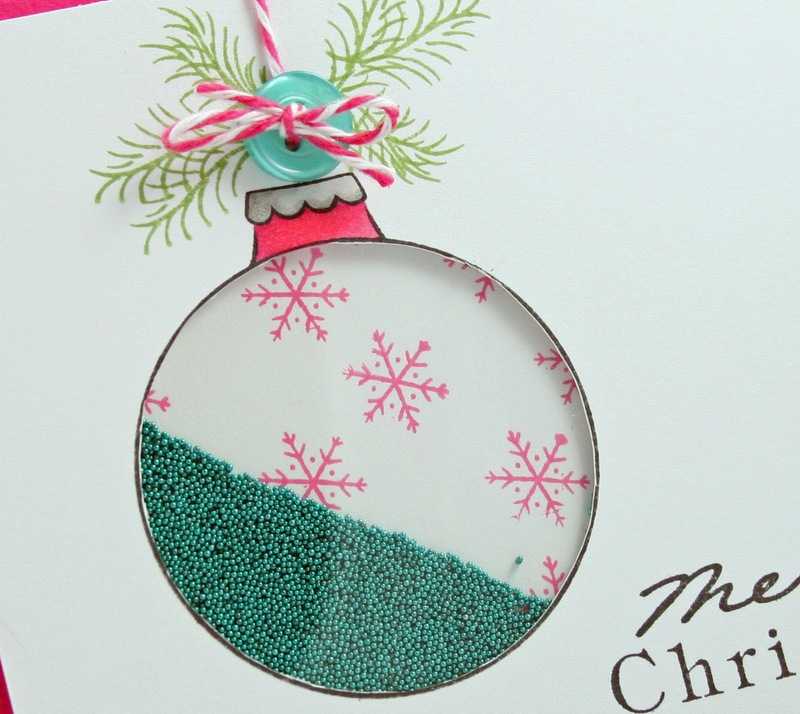 I filled the inside with teal microbeads. Kind of a fun card, dontcha think? 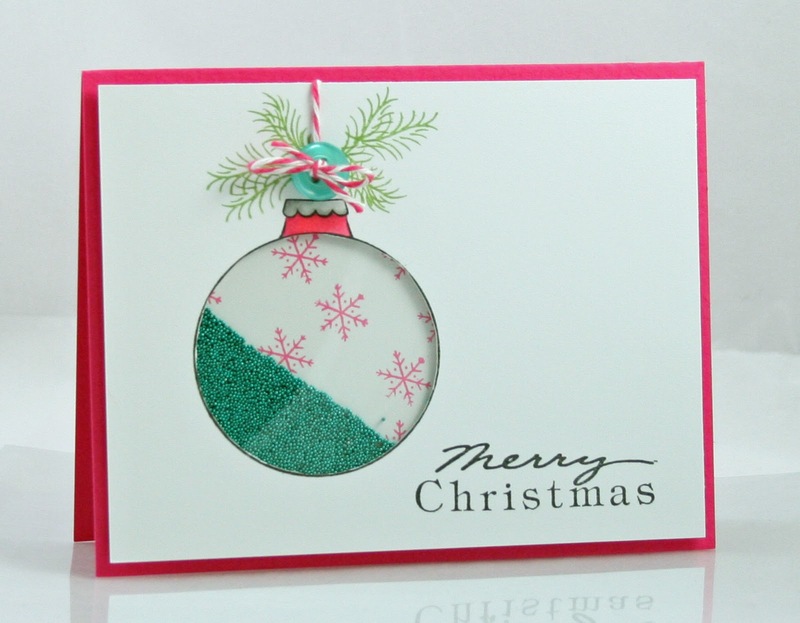 Posted in christmas, DeNami DT, shaker card, Theme challenge . Bookmark the permalink. RSS feed for this post.